SIN-KTM Business class A320. Spacious seats nice cabin attentive crew addressing each passenger by name throughout the flight. 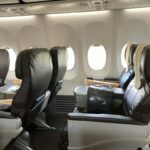 Flight deteriorated after meal service when the crew allowed the members of several tour groups travelling in economy to come and sit with their friends in Business serving them drinks and snacks subjecting business passengers to a four hour procession of childish mock resentful comments such as "so this is how the other half live". When all the seats were full people then stood in the aisles at one stage there were 15 people in a 12 seat cabin. They were only asked to return to their seats on commencement of descent into KTM. Noisy intrusive and unpleasant. A complaint about the noise to the Chief Purser resulted only in a mute fixed smile. No other airline would allow this. 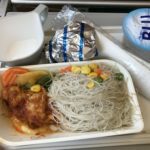 Never again under any circumstances in a premium cabin with SilkAir. SIN-HKT-SIN in economy although more expensive compared to the competition on this route Silkair have the best schedule. Service is much better decent food one way was a nice new A320. I was surprised to get free alcoholic drinks on this short flight. Check in and boarding all good except please enforce the one-piece-of-handluggage-policy. Some people have a trolley and three big plastic bags per person! Arrival in HKT was great was in the cab 25 minutes after touchdown even after waiting 5 minutes for my bag. Singapore-Kota Kinabalu return economy class. Very pleasant and punctual flights with decent meals extremely helpful flight attendants and a cheerful cabin. The service was exceptionally good for a short two-hour flight. I actually felt like an appreciated customer on this airline! Unfortunately this is not the norm these days but it should be..
SIN-PEN-SIN economy. Flights on-time and service was very good. Food tasty for a 1 hour flight and better than carriers in Europe or US where you get nothing for flights this short. They hand out newspapers in different languages and blankets. T2 in SIN is good and efficient and online check-in easy to use. A very good regional carrier and puts other legacy carriers to shame. KUL-SIN economy. Basically an SQ flight in colorful uniform. Short flight so no chance to try anything. Did have an issue with child seat belts. Requested one for a 2+ year old baby but the first FA refused. Second one consulted with purser then declined. Eventually spoke to the head and managed to convinced her to let us have one. Do get that problem on SQ flights. SIN-BPN-SIN was great. Check in was quick even though I can't use online check in facility since my ticket was a promotion fare tix. Flights on time. Inflight service was good. BPN-SIN sector offered slightly better meal compared with SIN-BPN. The crew were great BPN-SIN while SIN-BPN were a little bit robotic but still provided a good service. Singapore - Phnom Penh round trip. An amazing regional airline with impressive service on the ground and in the air. I checked in online and obtaining the boarding passes and checking bags in both SIN and PNH was quick and efficient. Even though I have had a separate itinerary on Singapore Air to San Francisco the agent in PNH checked my bag all the way to SFO and provided me with boarding passes for SQ itinerary. A320 aircraft flight attendants were pleasant and professional. Shortly after take off there was a drink run with alcoholic beverages available at no charge followed by meal service - a choice of 2 entrees. No personal screens though - there were video screens in the cabin which is fine for a short flight like this. Phuket - Singapore. Nice change from flying Jetstar up to Phuket. Comfortable seats decent legroom friendly warm crew. A light meal was served - not the best - dried out seafood noodles but OK for the short hop. 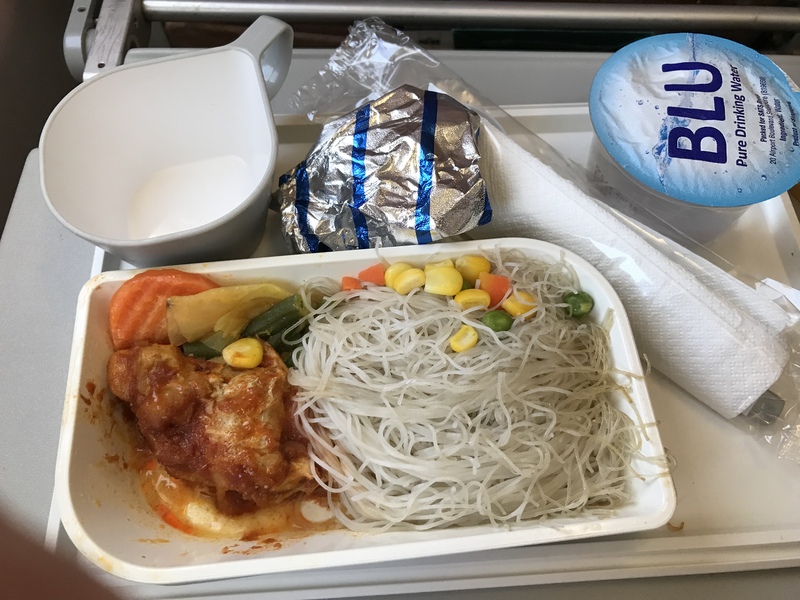 Meal presentation should be updated - tired old electric blue meal tray! 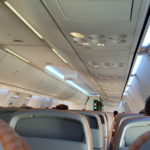 A319 that didn't have the new upgraded seats but was more comfortable than the cramped budget carriers. The inflight entertainment is truly odd. While Singapore Airlines the parent company prides itself on its excellent inflight entertainment it seems to somehow be quite comfortable with its regional partner showing lame silent programs on the video screens - why bother ? If you're going to have IFE do it properly. SIN-PEN-SIN. Check-in and Service very good. Food good and nice to get something on this short leg. FAs nice and more casual than on SIA. 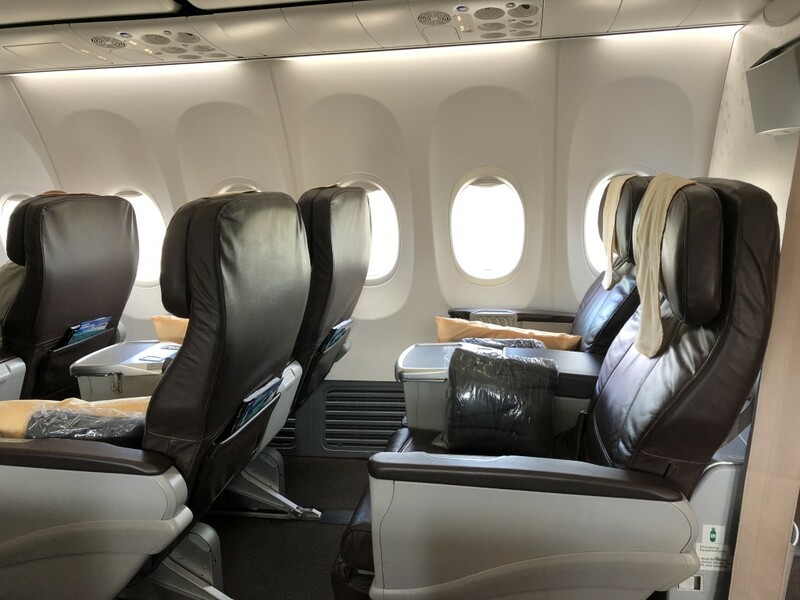 A small problem is that huge amounts of hand luggage are allowed into the cabin which means on the way to PEN the FAs were so busy with arranging hand luggage that they did not have the time the nice little extras like taking jacket away. On the way back one FA wanted to go the extra mile which was not much appreciated by her colleague but still all were professional and very friendly. A short flight from Kuching to Singapore leaving mid morning. No lounge at KCH but business class passengers are given a voucher for a free drink and snack at the coffee outlet in the terminal Flight operated by an A319 which has just 8 business class seats which are configured 2x2. The seats are comfy and include an electronic leg and foot rest. Crew proficient and friendly. Choice of two hot meals - I had the lamb which was excellent and regular offers of wine and water. Arrival was on time and i left feeling I'd really enjoyed the experience which matches the high standards of SIA on thinner regional routes (Silk Air is the regional affiliate of SIA). An excellent airline judging by this flight.